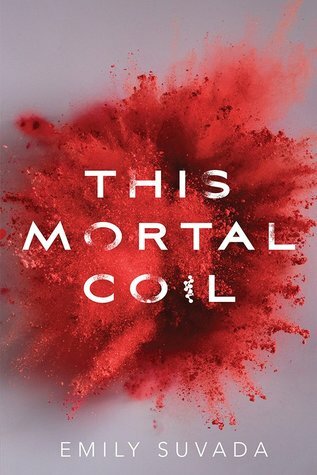 Wow, so This Mortal Coil is packed full of Coding, DNA, hacking, suspense, apocalyptic world, twist and turns. I both couldn’t put it down and had to take a break sometimes. It was a great story and loved how easy it was to understand the Science parts of it. So in the world of This Mortal Coil everyone is fitted with a panel in their arm that pretty much acts like how you would picture futurist VR worlds to work. You can do everything from texting/calling to changing what you look like and downloading an app to heal yourself. Despite all of this, Mother Nature still finds it’s way in and people have retreated to underground bunkers do to a breakout of a plague called Hydra. There is lots of talk about DNA, coding and hacking systems. I never once found any of it confusing. It was actually really interesting and written in a way that I felt was easy to understand. You might not grasp every concept perfectly but you get the jist of it enough to understand what is happening. I really loved learning about the characters and what makes them all tick. In a DNA respect and through the panels in their arms. So the plot is very fast paced and a curvy road to get to the end. There were plot twist throughout, so much so that I don’t want to talk about anything. I’m afraid I would give something away. What we do know and that is important is that Catarina plays an important role in finding the Vaccine for Hydra. Again I loved the characters. I thought they were all super interesting, from their background to their motivations for their actions. I can’t wait to see where they go in the future. Catarina most of all, is very cool. 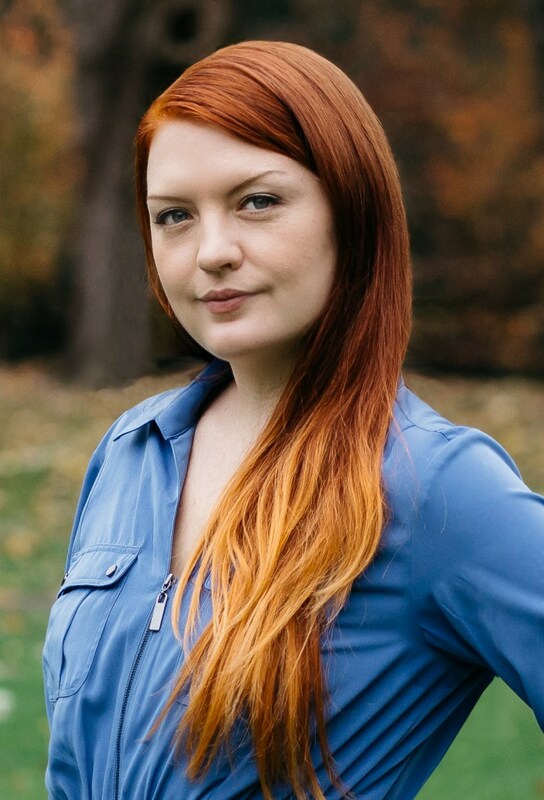 Really, she’s brilliant and savvy yet even though she lives for code, still keeps her compassion. She is not a robot or a slave to technology. Wow...so wow. 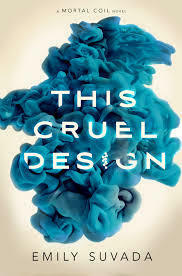 This Cruel Design is an amazing sequel to This Mortal Coil but I almost wish I had written my review while reading. So much happens!!!!! So much!!!! Again Emily Suavada takes on a journey that is fast paced and interesting. Crap...okay. There is no good way to talk about the book without giving away too much so I’m not going to delve into the plot too much. We pick up right where This Mortal Coil leaves off and Cat is trying to reconcile all that she has learned with all that she knows. Yet she knows there are still so many more mysteries about herself and Lachlan that she has to uncover. As well as, understanding where Jun Bei fits into everything. When it looks like the virus might not be as dead as they thought. The characters are once again on a course to save humanity as they know it. So we do meet some new characters that bring some perspective on the past lives of the experimental children. As well as fill in some missing pieces for Cat. Again I really like how these stories explore different ideologies about merging tech into our lives. From one spectrum to the other. How far are you willing to be modified? I liked nothing was forced on you as being wrong but let you see why people chose the different ways to live. It was super interesting. Again I love how Suavada makes what could be confusing topics, coding and DNA, and makes them easy to understand. I never felt like I was lost or confused. I could follow the thought pattern to what each person was trying to accomplish. I love the writing and I love the story. I don’t know how I’m supposed to wait for the next book. Not after everything that has happened. I felt a little thunderstruck at the end, but in a good way. Like, wait, what?? I’m so excited to continue on.